information your child hears, or anxiety. A comprehensive assessment is critical to identify what is really going on; otherwise, there is always the possibility that a child may be misdiagnosed. 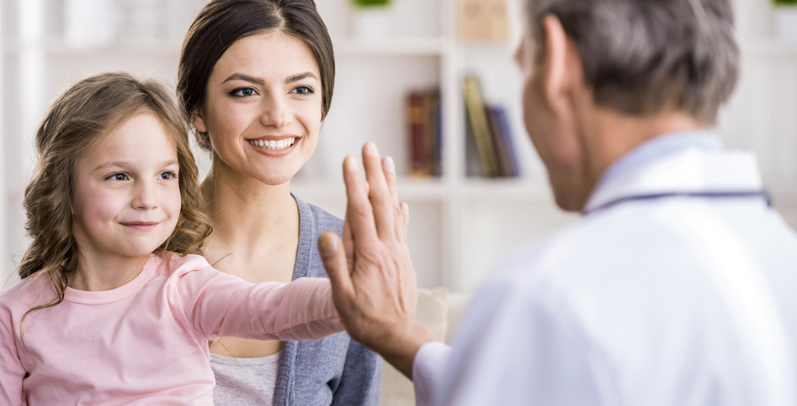 If your child has had a thorough evaluation, to get started, if you haven’t already, see your doctor. If you don’t have a pediatrician, you may want to get a referral because wait lists can be lengthy. When go to your appointment, go prepared to maximize the limited amount of time you have with your doctor. Think about what questions and concerns you have. Sometimes we do not realize that there are other underlying difficulties that can affect our children’s ability to attend. Chronic ear infections, anemia, low blood sugar, slow thyroid functioning, poor sleep habits, hearing difficulties, and vision problems can make paying attention hard. Be sure to discuss potential medical problems that could be contributing to your child’s difficulties and have them investigated if they are a concern. Other information you may want to consider discussing with your doctor is provided below. 1. If you have a report documenting your child’s difficulties and summary/diagnosis, give a copy to your doctor to review (send it to the office beforehand if possible). Bring along any other additional information you feel is helpful for your doctor to know, including any notes or comments from other family members, caregivers, teachers, and even coaches; video recordings of problematic behaviours; and list of the things your child has difficulty with. My child loses things necessary for tasks, such as toys, assignments, & pencils. My child tries to avoid activities or does them grudgingly when they require focus and/or a lot of mental effort. My child frequently forgets to do things, even when constantly reminded. Even the smallest distractions throw my child off task. No matter how hard he tries, my child has problems remaining seated. My child talks a lot. My child has difficulty engaging in quiet activities without disturbing others. Sometimes my child seems intrusive. She/he interrupts constantly other peoples activities, conversations, and games. 2. Talk to your doctor about different treatment options. Research has demonstrated that the most effective treatment in managing ADHD is a combination of interventions, including behaviour management and medications. Medications work for most kids, but there are some kids who don’t see any change at all. See what other options your doctor recommends. 3. If your child has more than one diagnosis, be sure to ask about what the treatment plan should look like to address all difficulties. Many kids with ADHD also have anxiety, so it is important to consider which approaches will support the ADHD without worsening the anxiety. 4. If considering medications, first identify if ADHD significantly affects your child’s successful functioning at home, at school, and/or with friends. If so, then medications may be one piece of the treatment plan. Always try behaviour strategies first, or at least along with, medications. Medications do not cure ADHD but do help kids manage it better through their day. What are the different types of medications? When is the best time to start medications? Do medications work for everyone? How do we know which medication is best for my child? What will I notice when my child starts medications? Are there any side effects? Is there anything to help reduce the side effects? What do I do if I don’t think the medication is working or isn’t a right fit for us? Does my child have to take the medication every day? To help you prepare when you consult with your doctor regarding medications, here is some additional information related to many questions parents tend to have about medications. Take note of any questions you think of as you read through this material that you can discuss with your doctor. Basically, the neurotrasnmitters, or chemicals, in the brain that help with attention and impulse control can’t send signals properly, which results in behaviours such as inattentiveness, forgetfulness, interrupting, and/or difficulty controlling emotions. Medications improve how certain parts the brain communicate with each other. Kids may feel more alert and less restless or fidgety. They can often listen and remember instructions better. They are also better able to process information, which is important for learning. Kids’ confidence and self-esteem also often improve once they can better focus and experience positive interactions with classmates. What kinds of medications are there? There are different kinds of medications for ADHD. The two main categories are stimulants and non-stimulants. Stimulants are the most common. They have been around for more than forty years and are the most-researched medication than any other. So, we know a lot and we know they are safe when used properly. Stimulants target the chemical dopamine, which is important for motivation. It also helps kids control their emotions and their bodies. 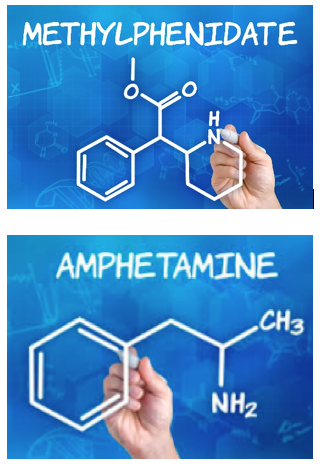 There are two types of stimulant medications: Methylphenidates (e.g., Ritalin and Concerta) and Amphetamines (e.g., Dexedrine, Adderall, and Vyvanse). Non-stimulants (e.g., Intuniv and Straterra) target the chemical norepinephrine, which is important for executive functions such as getting started on tasks and avoiding distraction. These are usually prescribed when stimulants don’t seem to work or when kids experience negative side effects. Sometimes they are used along with stimulants but can be used on their own. Yes! 90% of children on medications for ADHD respond positively. Research has shown that ADHD is the MOST treatable disorder in psychiatry and has the most effective treatment options available that produce the most positive change than any other diagnosis. The effectiveness is more than three times better than medications used for other things like anxiety and depression. Kids who start stimulant medications may feel its effects within 30 to 90 minutes. Although stimulants work right away, non-stimulants often take four to six weeks before any changes are noticed. Does my child need medications? About 70-80% of children with ADHD need medications to manage symptoms to promote their success across settings. There are some considerations to make before starting medications. If your child exhibits only mild to moderate symptoms, you may want to try implementing solid behaviour strategies first, such as setting up consistent routines. Same if your child is younger than 6; start behaviour therapy first and then consider medications as another option if you see little progress with those strategies. If difficulties persist and/or the symptoms are more severe, then medications are likely needed to promote your child’s functioning. Doctors can’t know for sure which medication is best for your child or how your child will respond to medications until they are tried. It may take time to figure out what will work best for your child. Therefore, it is important to be patient and work closely with your doctor to find the optimal medication and dosage. Sometimes kids do well with one medication that is long-lasting throughout the day. Others might need one long-acting dose to get through the school day plus one short-acting dose to help with homework at the end of the day. Every child is different. But, with the right medication, your child’s ability to focus, to regulate emotions, to learn, and to interact with peers may improve. These all also help to boost confidence and self-esteem. With regards to long-term side-effects, there is good news: We have had so much research on these medications over the past four decades that we now know there are no long-term effects. And no, these medications don’t stunt kids’ growth. There may be some short-term side effects with medications, though they are often much less impairing than the side effects of untreated ADHD (e.g., shame, guilt, self-doubt). The most common side effects of medications are loss of appetite (about 30% of kids), difficulty falling asleep (about 10-15% of kids), and restlessness when the medications wear off (less than 10% of kids). Though not as frequent, sometimes kids may feel dizziness, headaches, or stomachaches. Kids on non-stimulants may also feel drowsy. If your child is already predisposed to tics, you may notice motor tics as a possible side effect (but medications do not cause tics). If your child already experiences anxiety, some stimulants may contribute to anxiety. No, medications will not change your child’s personality. Side effects typically occur when the medication is still in your child’s system. Most side effects wear off after a few days of starting medications and can be fixed with adjusting the dosage or time they are taken. If you notice any concerning side effects or changes in your child’s mood (e.g., irritability or anxiety) or behaviour (e.g., aggression), be sure to take note of these and make an appointment to discuss these with your doctor right away. What can I do to help reduce side effects? Lowering lights and minimizing electronics and stimulating activities within two hours of bedtime is ideal. Have your child engage in quiet activities, such as reading or listening to soft music. Create bedtime rituals, such as having a warm bath or reading bedtime stories. Keep the house cool at night – this helps kids stay asleep. Have kids write (or you can scribe) any worries or ideas they have on their mind. This may help relax their brains from the constant swarm of thoughts they may have before bed. Appetite: Some kids don’t feel hungry once they start taking their medications, but should normalize after a few weeks. It is best to make sure they have a good, protein-rich breakfast before taking their medication. Try to pack healthy foods for lunch and snack and encourage your child when he feels hungry. Kids tend to become hungry later in the day, so have healthy snacks available. Nausea and headaches: Although rare, kids sometimes experience physical symptoms when they first start medications. Have them take the medication with food to minimize their effects. Watch for the next step coming soon. 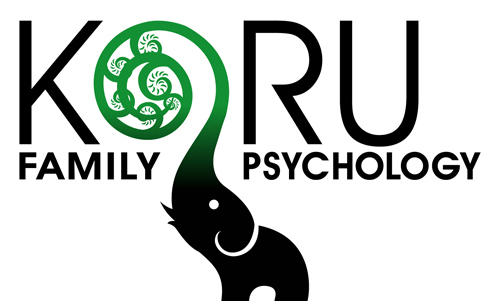 Feel free to email Dr. Caroline Buzanko with any questions you have related to this article or ADHD.